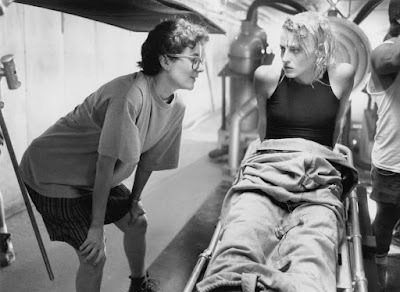 The Horror Honeys: #52FilmsByWomen with The Horror Honeys ~ Week 9! #52FilmsByWomen with The Horror Honeys ~ Week 9! Before moving on to directing television (like Dr. Who, The Flash, and Legends of Tomorrow), filmmaker Rachel Talalay began her career firmly planted in the horror and sci-fi genres! In fact, she will feature no less than three times throughout 2016 for her contributions to the genre. 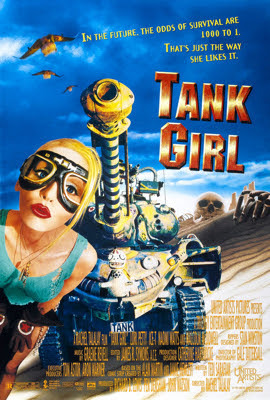 But obviously, we had to start off with Tank Girl, a film that didn't leave nary a Honey didn't wishing for the apocalypse as a child. Sure, it wasn't appreciate when it came out in 1995, but like most of Talalay's early work, it found its audience eventually. And it's audience? A generation of future Horror Honeys!